O-106 R1 is below, O-106a R2 at bottom. 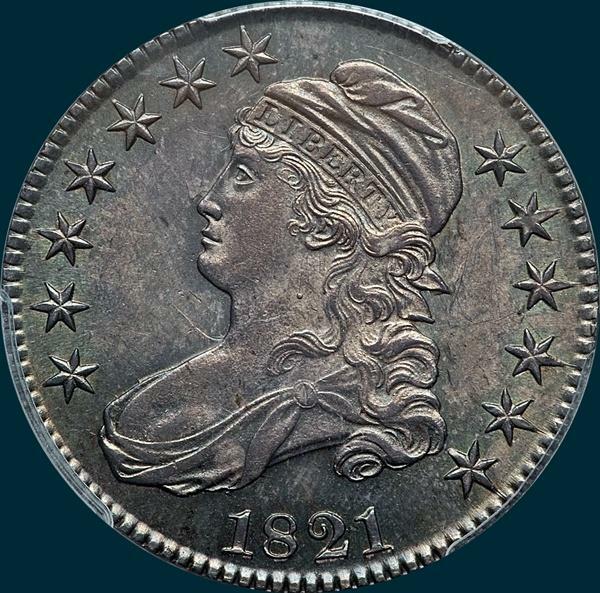 This one is rather common in all grades, but the 1821 date does carry a bit of a premium over other later 1820's dated Bust Halves. 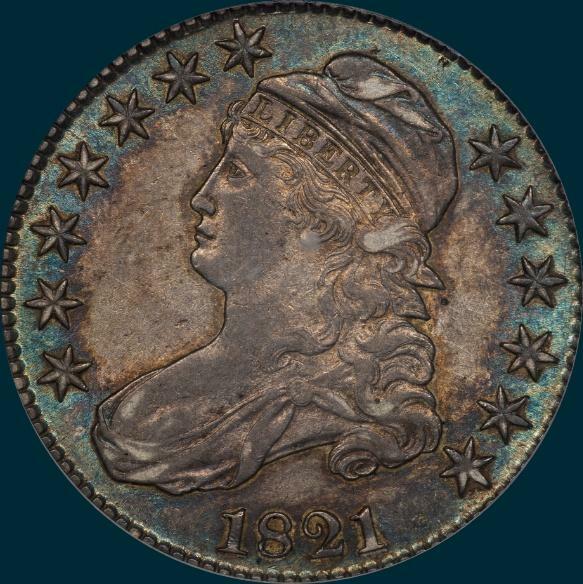 Variety Attribution: Obverse-Star 13 is only 1/4 mm. from curl. Date is 7 3/4 mm. 21 is lower than 18. 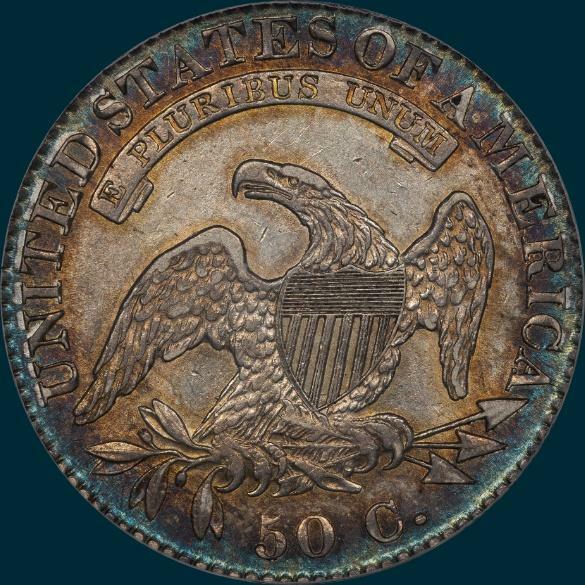 O-106: Reverse- 50C is 1 3/4 mm. Arrow to A is 1/2 mm. Crossbar 3 extends into right wing. Center dot between crossbars 4 and 5. Left side of T and right side of I in line. 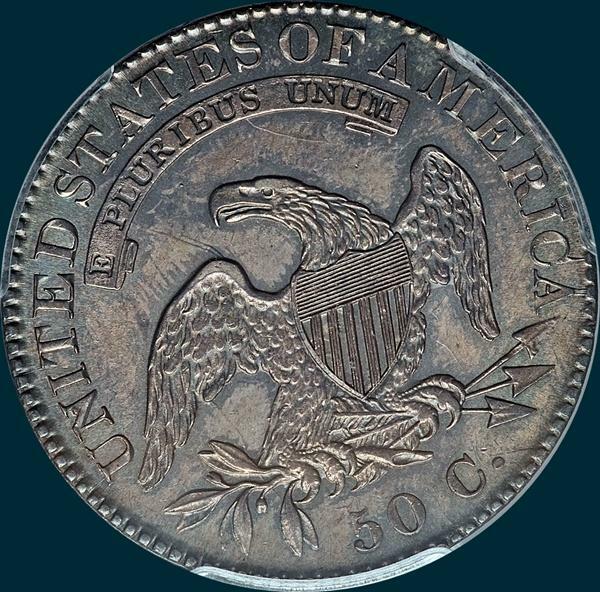 Some specimens exhibit a dot in field between R in PLURIBUS and eagles head and a small patch of lumps, probably from die rusting, under eagle's head. A tiny spike protrudes from eagle tail feathers half way down. O-106a: Top of N becomes filled due to a progressive die chipping.